I know I'm beating a dead horse but Tyler Hoechlin is "listed" at 6'0". Which means he's probably 5'10". How does a casting agent think this guy looks "super"? Like Cavill, the face is alright but not so perfect that all other facets of portraying Superman should be ignored. This is more how Superman should look compared to his teenage cousin. Supergirl isn't a Wonder Woman/She-Hulk type stature, she's a "girl". Okay, since this thread is about Superman and casting and possibly replacing Cavill, I have a new top choice to play Superman. He's not an A-lister but he isn't unknown either. IMO, he's got a pre-Superman Christopher Reeve baseline look to work from. 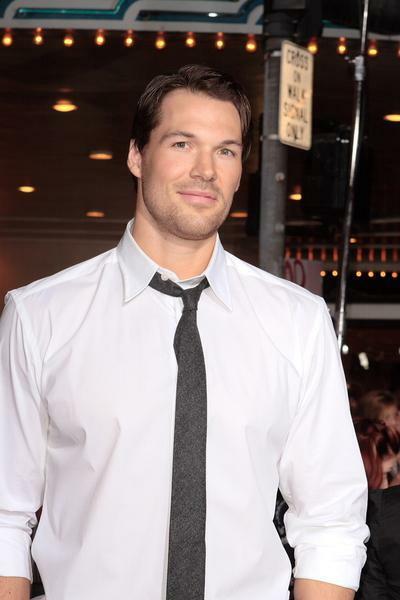 Daniel Cudmore is 6'6", has a good appearance and some mass. He'd be my frontrunner. 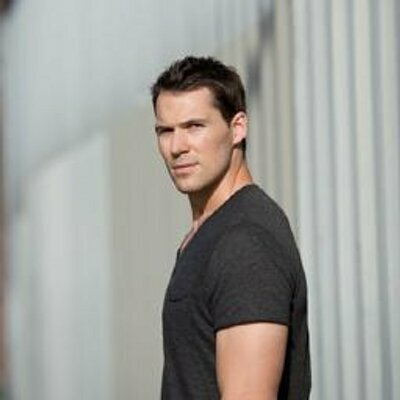 He's been in Breaking Dawn and was Colossus among other things but I think if you give him a spit curl(wig?) and maybe blue contacts, you'd be good to go. I see Captain Marvel more than Superman. 6’6” makes the Clark Kent “disguise” even harder to maintain! This version of Supergirl is also in her mid-20s, living on her own and having a well-established job, not a "fresh out of college" starter position. I don't much care how tall Superman is. I think that "Who is Superman?" should be an event, not a regular occurrence in every episode. So it ought to be rare that someone wants his height, weight, age, etc. Personally, I think it could be fun for the next big DCEU crossover... Supergirl needs help, because Lex Luthor and his mother have suddenly decided that they need to know Superman and Supergirl's identities, and the Kryptonians need help from the Arrowverse heroes to keep the secrets. I thought about that but I'd rather they work their movie magic in making Clark look shorter than the other way around and faking Superman being tall. Maybe 6'6" is too tall but I'm just tired of Superman being barely the same height as Lois and having to look up at Batman. I'm sad to say, that doesn't surprise me a bit. Because the show is "Supergirl", not "Superman." The writers decided she has to be better. “Anyway, Andy, this version of Supergirl is stronger than Superman..."
OOOOkay, if it can be explained without a long, convoluted delving into the DCTV universe, how is this possible? Eh. Supergirl beat Superman during a fight where he was exposed to a mind-altering version of Kryptonite that made him believe he was fighting Zod. After he went back to normal, he commented that Kara was able to beat him when he was fighting full strength so she was stronger. You can view that as Supergirl actually being stronger, or you can take it as Clark being magnanimous and complimentary toward his cousin. I think this is pretty much dead on. Yup, but as much as I would love to see the same approach as the various animated series there’s no guarantee it would work either. If there was a formula that actually worked in Hollywood every film would be a success. I know I’d second guess myself if I were in charge of all this stuff. Tyler Hoechlin doesn't really look as much like Superman in terms of stature as many of the other people who have played him over the years, but he did pretty well at capturing Clarks' personality, I thought. 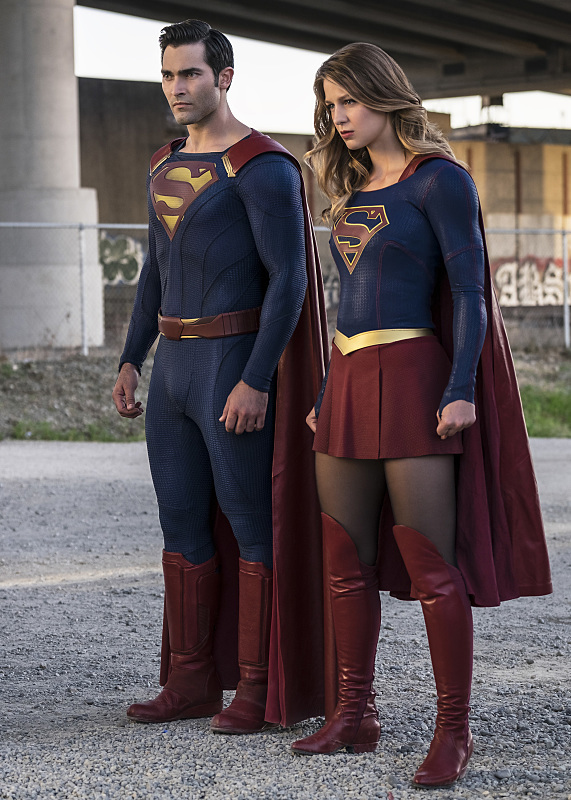 Superman and Supergirl look like a cosplay couple at a comic con. Then again I never was a fan of real life depictions of comic book characters. That goes so far, that I didn't even like realistically painted covers. Hoechlin put on some mass for a bodybuilding movie called BIGGER - I hope he keeps it on for this fall's crossover! Technically — and this is a point I addressed obliquely in MAN OF STEEL — there is no reason for Superman to have a body-builder physique. There’s hardly anything on Earth that could tax his muscles that much. I’m just watching the Jack Ryan series at the moment and I gotta say, John Krasinski really pulls off the earnest all American good guy stuff really well, without being boring. While he may not be right face wise. He has the height and build and I think he might make an awesome modern Superman. Another actor I thought might do well in the role is Anson Mount. Haven’t seen Inhumans, thank God, but looking forward to him as Pike. During a recent interview, the Russo Brothers were asked which superheroes they think are the hardest to bring to the big screen and both chose Superman. "He's a very difficult character; you have to find an emotional flaw or weakness in the character in order to make them vulnerable." 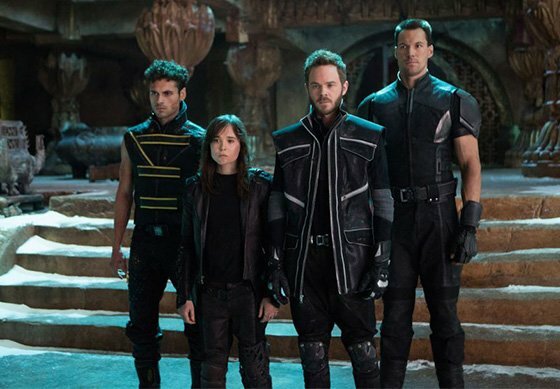 Apparently they felt that the more powerful a hero is, the harder they are to bring to the big screen. Personally, given the successful portrayals of Superman done in the past (but recently ignored by film makers), it's hard to take the above statement very seriously. He's not that much more powerful than Thor. Is it difficult to make Thor work? How about Wonder Woman?? How about Flash?? Yet for some reason, Superman is singled out. Way back when, there was a time when Superman was IT. The ultimate super powered character, the ultimate super hero, the ultimate standard to live up to. I don't know that his powers are so hard to show - I think that Green Lantern or Plastic Man would be MUCH harder - but the character is not Mon-El, not "superguy", not "new and improved" - it's Superman. Superman, Captain America, Spider-Man* are all characters that are pretty easy to understand, but are vital to be portrayed correctly. I think that's a lot tougher than just "man with super powers." *Okay, the Hulk is a character that's pretty easy to understand also - but not quite as complex as those other three. Is it difficult to make Thor work? How about Wonder Woman?? How about Flash?? Yet for some reason, Superman is singled out.